Talent Chawapiwa is not considering a move away from Baroka FC for now, according to the player’s agent, Mike Ngobeni of M-Sports. Reports from South Africa had suggested that Kaizer Chiefs were leading in the race to sign the Warriors international, but were facing stiff competition from Mamelodi Sundowns. 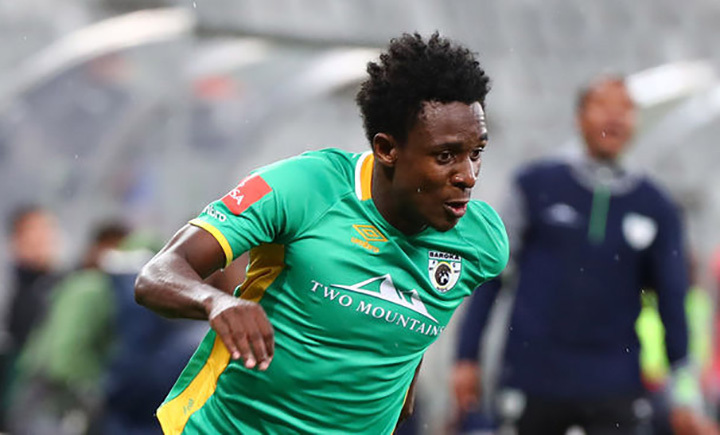 “I think he is staying at Baroka, I don’t know anything about Chiefs and Sundowns approaching the player,” Ngobeni told Goal South Africa, a football website. “The window is still open, and if the two clubs want Talent, they must first contact the club, that’s when I can make a comment, but for now I have no idea. Ngobeni also said the player needs game time that’s why they will not rush to find him a new club. “The chairman and the CEO love him, look, he is a national team player, and all we want for him is game time. “It won’t work to transfer him and just to sit on the bench, any club that is interested will call us,” he added.